Assumption: It is assumed that all the companies are in countries that have fully absorbed IFRS standards. A balance sheet (BS) gives the financial position of an organization. In simple words, it is a financial summary of a business that gives reader an insight into the company’s financial standing. IFRS has given a detailed pattern of balance sheet that has to be followed by all the organizations. 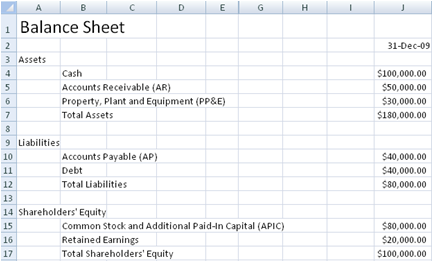 It clearly states the items that have to be included or excluded in the balance sheet. The BS must clearly include all the company’s assets, liabilities, and equity. A profit and loss statement, as the name suggests, gives the financial position of a business in a given year. Unlike balance sheet, it only revolves around revenue and expenses. IFRS gives a clear definition of revenue and expenses, explaining when an expense or revenue has to be recorded. Since businesses often run on credit, it is very important to have a clear understanding of accrual basis of accounting, which is very clearly explained in the IFRS. A profit and loss account simply subtracts the revenue (direct earning of a business) from the expenses to reach profit. In case of a manufacturing account, one must reach the gross profit by first subtracting cost of goods sold (COGS) from the revenue. IFRS requires every business to prepare a separate Statement of Changes in Equity. It mainly shows the effects of relevant transactions on the owner’s equity. A cash flow statement shows the effects of transactions on cash and cash equivalent. It is the accounting head that sums up all the transactions that involve cash. IFRS clearly explains that transactions that do not involve movement of cash from/to the individual or company must be excluded from the cash flow statement, because such transactions have no impact on cash and cash equivalent. All the above mentioned statements must be prepared keeping in mind the IFRS requirements.